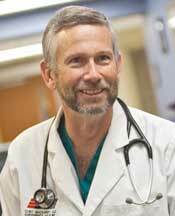 Dr. Clint MacKinney works as an emergency department physician in rural Minnesota. He is also a Clinical Assistant Professor in the Department of Health Management and Policy at the University of Iowa. Dr. MacKinney has worked in health care for nearly 30 years—the first 14 as a rural family physician. His experience includes owning a private practice and working as Medical Director for a primary care group with 210 employees and a $50 million budget. Prior to his position at the University of Iowa, Dr. MacKinney worked for eight years as a national rural health care consultant. Currently Dr. MacKinney is a member of the Rural Policy Research Institute (RUPRI) Health Panel. He has served on national committees for the Institute of Medicine*, the Department of Health and Human Services (National Advisory Committee on Rural Health and Human Services), the American Academy of Family Physicians and the American Medical Association. In his capacity as a rural health advocate, Dr. MacKinney writes and presents nationally. Dr. MacKinney’s professional interests include rural health system design, health care value, physician and administration relationships, physician payment, rural health policy and population-based health care. In his spare time, he enjoys the outdoors—especially visiting his family’s cabin in Northwest Ontario, reading, and “chores” around the house. Recently, he’s been on college visits with his sons. For a selected list of Dr. MacKinney’s publications, see: www.ruralhealthresearch.org/researchers/a-clinton-mackinney. As a rural physician for the last 30 years, what changes—good and bad—have you witnessed? And what trends do you especially want to see continue and thrive? During the early years of the specialty, family medicine was a bit counter-culture. We family docs were in it to care for patients/families and serve our community. We were proud to be “comprehensivists,” yet acknowledging that care was best provided by teams of professionals along the continuum of care. The movements of Community Oriented Primary Care, and even Health Maintenance Organizations (in the true sense of the words, not managed care organizations) made sense to us. But fee-for-service payment systems made it hard for well-intentioned family docs to make their way. Plus, the implicit (and occasionally explicit) derision from proceduralists and academics made the journey even tougher. The practice of family medicine was always a joy for me. Where else can you be invited into, and trusted with, the most intimate parts of people’s lives? But I knew there was a better way. I just couldn’t figure out how to get there. It is my hope and belief that patient-centered medical homes (PCMHs) are the “way back home” for family physicians and other primary care providers. (PCMHs are what the Commonwealth Fund describes as “primary care practices that offer around-the-clock access to coordinated care, and a team of providers that values a patient’s needs.”) To practice medicine in a medical home is the very reason many of us went to medical school, but never had the opportunity to do. That said, I believe the organizational transformations required to become a medical home are significant. The required skills are new to many of us—team-based care, data collection and analysis, quality improvement techniques, information technology proficiency, cultural competency and a focus on patients/families first, rather than physicians/practices. How will these changes come about? And what are the obstacles? To navigate these transformations, the health care financing system must change concurrently (if not before) the providers. Health care form follows health care financing. The unfathomable disparity between cognitive service payment and procedural service payment must decrease. For example, it’s not right that the system pays more to repair a simple laceration than to diagnose a complex medical disorder. Furthermore, the health care financing system must reward effort that improves care, makes communities healthier and uses resources wisely. Sure, there is still work to be done to properly measure quality and patient satisfaction (just to name two) and then tie that measurement to payment in a fair way, but I am very encouraged by the movement that is beginning to pay for value, not simply volume. Lastly, in our transformation to a system of care that responds to patient and community needs, continuously learns and improves, and recognizes the value of cognitive effort, we as physicians need to be introspective. Paul Nutting and his colleagues wrote a brilliant article recently that every physician should read. In “Small Primary Care Practices Face Four Hurdles—Including A Physician-Centric Mind-Set—In Becoming Medical Homes,” Dr. Nutting notes that four of our own demons (the product of years of enculturation beginning in or before medical school), stand in our way: 1) Physician centricity, 2) Lack of common vision, communication, and shared experience among physicians, 3) Authoritative leadership behavior leading to lack of psychological safety, and 4) Varied but unimaginative roles of physician assistants and nurse practitioners. The successful family medicine practice of the future will actively eliminate these behaviors and associated beliefs. One of your interests is the “value movement in health care.” What is it? Is it particular to rural? 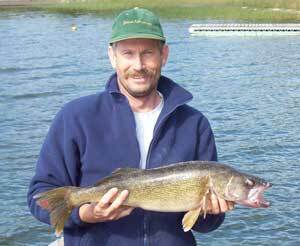 MacKinney enjoys fishing and other outdoor activities in his spare time. The Institute for Healthcare Improvement’s Triple Aim resonates with me. Our goal as health care providers, and all those in health care disciplines, should strive to make patient care better (both clinical quality and the patient experience), improve the health of our communities, and use precious resources wisely. For over five years now, I’ve described health care value simply as [(quality + experience) ÷ cost]. Admittedly, my basic math is neither sophisticated nor nuanced. But like the Triple Aim, it forces us to think and/both, not either/or. We all can readily agree that a great physician is not defined by the number of patients he or she sees per day. Nor is a world-class hospital defined by the number of admissions per year. Yet, that is exactly how physicians and hospitals are rewarded. Any rational person would say this doesn’t make sense. Sure, we want to reward industriousness, but patients want to get well, communities want to be livable and payers want to control costs. This is not a rural/urban or a local/national issue. It is our issue. To recall again the idiom “form follows finance,” to change health care delivery so it addresses society’s needs and desires, we need to change the financing system. You’re currently an ER physician in rural Minnesota, working 24-hour shifts. What drew you to emergency medicine? What are the biggest challenges in providing rural ER services? And, how are rural hospitals doing it right? I love family medicine, and enjoyed the practice of family medicine for 21 years. I delivered about 850 babies and likely comforted as many of the dying. I’ve been blessed. But in careers, as in life, we all make trade-offs. I found that I really enjoyed rural health care policy. Hence, I now collaborate with great colleagues at the RUPRI Center for Rural Health Policy Analysis. For better or for worse, it would have been difficult to maintain a rural family practice and actively participate in policy work. Emergency Medicine allows me the flexibility to remain grounded in clinical care (which I continue to enjoy after all these years) and participate in health care policy. Neither is more important than that other. But they are complementary! Clinical care gives me insights into health care policy that I otherwise would lack, and vice versa. In my ideal world, ERs would be less busy because everyone would have 24/7 access to care through their medical home. But ERs will still be needed, even in my ideal world. ERs are public health monitors, safety net providers, and promote a sense of community safety and security. In fact, rural people often identify emergency services as the most important rural hospital service. From a hospital perspective, the ER is the front door and the front window to the hospital—first and lasting impressions are made here. Therefore, I believe the ER deserves hospital leadership attention. You have co-authored several reports on Medicare physician payment. Why has this topic been of interest to you? Despite authoring several reports on physician payment, I have a confession to make. I’m not really that interested in health care financing. I tell folks that I know just enough to be dangerous! However, I am very interested in how health care financing can deliver the Triple Aim (or not) and best serve rural people, places and providers. I think I had better review my writings to be sure I make the link between health care financing and health care delivery. Form follows finance. If you could wave a magic wand that allowed you to do one thing to help rural physicians and/or patients, what would it be? Why is rural health important to you? Did you grow up in a rural area? I developed a love for the outdoors early. I enjoyed fishing, hunting, canoeing and camping as a kid. (I grew up in Ames, Iowa, but moved to Ohio for high school, college and medical school). During medical school, I was a National Service Corp Scholarship recipient and went to rural Iowa to practice. My NHSC requirement was for three years, but I stayed in my rural community (Cresco, Iowa), that I still love, for 14 years! People there embraced me as a son and devoted friends helped my wife and me immensely during the premature birth of our twin boys (they are now both strapping 17 year olds). So, my passion for rural people and places was formed early, and has been only reinforced in adulthood! What classes have you taught at the University of Iowa this year, and what classes or topics do you like to teach or present on, in general? You are a professor, an emergency room physician and a member of the RUPRI Health Panel. How do you manage to balance it all? Sometimes I’m not sure I do balance it all very well. Maybe you should ask my wife and kids! Honestly, I’m lucky to have supportive people in my life. My wife is a school RN, so summers are free for more family time. My 17-year old twin boys are doing really well in school (much better than their dad) and seem to be surprisingly free of the adolescent angst I can still remember. The folks who arrange my ER shifts are always patient with my absurdly crazy travel schedule. And I’ve got a great boss in Keith Mueller at the University of Iowa who always reminds me to take time for myself and my family. Yup, I’m busy, but I’m happy too. This entry was posted in Rural Spotlight Interviews and tagged Healthcare business and finance, Healthcare quality, Healthcare workforce, Iowa, Medical homes, Minnesota, Physicians, Primary care, Reimbursement and payment models, Service delivery models on May 15, 2013 by Rural Health Information Hub.